How did I find this little slice of heaven? Well, I basically closed my eyes, spun the globe, and stopped the globe with my finger. Actually, it was my mouse, as I was using Google Earth – but I did have my eyes closed! I promise. I knew that I needed somewhere with water, that was preferably warm, I just had absolutely no idea where. Then when I opened my eyes, and saw where this tiny island was, I just knew that the Mediterranean was perfect for my book The Mediterranean Source. I was listening to the melodic voice of Beth Orton at the time. Yes, I can even remember that! I remember it, because my colleague had just given me her CD, and I had written the first scene of The Mediterranean Source that day. Of course it wasn’t even called that then… it was something that I had planned on being a short story for a competition. Well that never eventuated. The more I discovered, the more I wanted to write about it. Anyway – I’m sliding off track here… So, back to Menorca. And that very first scene. When I started writing that scene, I somehow already knew my character, in bits. I knew that his wife had died; I knew that he was a Marine Scientist; that he owned a very large boat, and that he religiously swam a bay every morning. I also knew that his name was Tom, named after my brother. Therefore I needed a decent location to set this story in. Menorca is the smallest of the three Balearic Islands. The other two, I’m sure you have all heard of. Ibiza, and Majorca. Ibiza, being the most famous party island of the Mediterranean; and Majorca, being a prime holiday destination preferred by everyday people from the United Kingdom. Oh, I’m sure that many other people travel there as well, but that’s what it’s known for. So once my mouse landed on Menorca, the first things I had to do was a little research, as I had absolutely no idea what this island was like, or how this would affect the loose plotlines that I had dreamt up. One of the first things I discovered was that Menorca is a UNESCO Biosphere Reserve. You would not believe how perfect this was for my book. For once, I did not have to make this sort of thing up. Finding out that it was a UNESCO Biosphere Reserve provided a place of work for my character. Voila. Magical. So for my character, Menorca became the island paradise that he could live on, work on, while washing away his angst, pain, fears, and his previous life. It was the retreat he needed to heal himself. Why? Well, this is why. 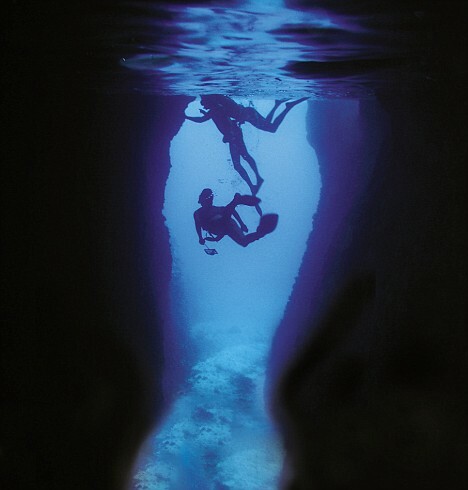 Menorca has some of the most spectacular diving areas in the Mediterranean. Yes, they are unknown to the public, but the world divers out there definitely know of the island and all of its hidden jewels. (Pun intended, for those of you who have read the book.) The beaches on the island are all individual and diverse. Some are hidden behind rocky outcrops – which only the locals know of, some are only accessible by boat, and some are more popular tourist destinations. The water is usually always warm to swim and dive in. As a UNESCO Biosphere Reserve, Menorca is very advanced in the art of being ‘green’. The cultural and historic heritage of Menorca is preserved, as well as the flora and fauna of the island. They have specialist recycling collections on the island so that any rubbish is kept at an ultimate minimum. This sort of environmental positive action suited my book. I personally have very strong support for staying as ‘green’ as possible, and it absolutely delights me that there is a whole island consisting of 80,000 residents that support the same thing. The declaration of Biosphere Reserve compels us to take measures to prevent our heritage changing or deteriorating. Our aim is to find ways of developing which allow us to profit from the island’s natural habitat while at the same time protecting it. 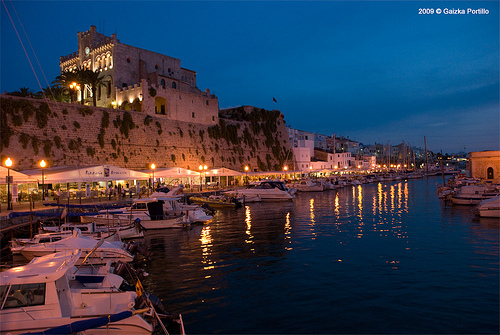 Imagine walking along the Ciutadella esplanade in the evening light within the warmth of the summer's breeze. How amazing is that? Not only is it an incredibly beautiful island, but it is under some incredible residential protection. One day I would love to see my home country of New Zealand become this vigilant. So, I signed up to all the newsletters that I could find about the island, and the information started flooding in. This was fabulous, as it meant that I could start getting incredibly accurate about the island, and all its glorious details. Google Earth helped immensely as well. Before my last laptop died, my Google Earth was incredibly pinpointed with locations of significance on the island. I have a lot of images of the island that I would love to put up here on the blog… but to get a truer sense of the island, you would have to read my book. There is a local on the island, Paul Dell, who has lived there since 2004, and photographs the island nearly every day: http://www.dellimages.com/default.html I recommend that if you wish to see even more incredible images of this fabulous little island, then visit his site. He’ll also answer any questions that you pose to him about the island, as he’s even more passionate about the place than I am. So, fall in love with Menorca. I know that this island is somewhere that I have kept in the back of my mind everyday for the past couple of years. It is my dream to go there. One day, perhaps even own my own little slice of paradise there. One day I would love to immerse myself into the Menorcan waters and go diving. I would love to walk the cobblestone streets of Mao or Ciutadella, drink fine wine, and eat amazing Spanish food. But most of all, I want to live in this paradise. To be a part of this amazing little island, with their amazing thinking. In response to your questions you raised on my blog post, I would definitely recommend you get in touch with Paul Dell while you are there. He has been living there for the past seven years, and is incredibly passionate about the island. I have no doubt that he would give you all sorts of advice, and suggestions of what you can do there. He’s a photographer, so has seen a lot of the island, that many of the locals haven’t really explored. His website is: http://www.dellimages.com/default.html You can email him at dell@dellimages.com. Paul would probably be the best source of knowledge about the island since he lives there, but I would also recommend reading through Menorca Life Blog – http://www.menorca-net.co.uk/menorca_blog/index.php which gives you quite a good sense of what the island is actually like, and some of the places that the blog writer visits. 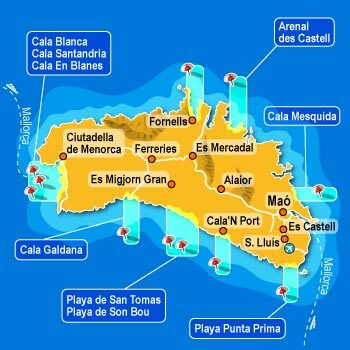 ‘Menorca the Guide’ is also a really good general source of information – http://www.menorca-net.co.uk/. I wish you all the best for your holiday there. I’m sure that you will have a wonderful time. Menorca is really a treasure. I’m really please you think so! I personally think that it is the best jewel that adorns the Mediterranean crown. And I can’t wait to go and spend a decent amount of time there.